Somebody requested the first album of one of my favourite bands (and singer/composer, Stan Ridgway). This is the Cd release with Live tracks added. Wall of Voodoo's music is in it's own category; it is fun music; it is thinking man's music; all at the same time. This super extended version of their first album is worth it for just the first three songs: Longarm, Passenger, and "Can't Make Love". These are their "cleanest" fast-percussion, fast-lyrics and are in perfect form, stripped down to just the life of the music. The Index Masters really shows the raw side of an early Wall Of Voodoo. "Longarm" starts with a simple drum machine beat and a crunchy guitar. It is followed by wonderful synths and Stan's voice with a laid back "Let's go"... The song is catchy and filled with dark tones and eerie synth soundscapes. "The Passenger" is a very potent song about a hijacked plane, which rings true in these times of terrorist threats and violence. "Can't Make Love" with its tongue-in-cheek, brutally honest lyrics and its fun new wave atmosphere is a real treat to listen to, especially for an average day player. The album continues with an eerie instrumental "Struggle", as well as the popular cover "Ring Of Fire", which is one of the most unique and ingenious covers ever heard. The pic is the cover of the 7incher, not the CD cover. I'll follow up with the rare and now deleted "Dark Continent"…Mopman, do you receive? I saw Stan Ridgeway a couple of months ago and I have to say that I was kinda bummed. The songs are very "violined out" and a bit too "safe" for my tastes but his voice is still the best! I know this is an old post, but I just wanted to throw out my thanks for this. 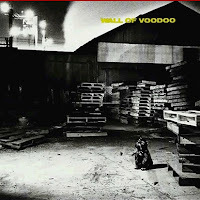 Wall of Voodoo was one of the best of the New Wave, in my humble opinion. My thanks. The quirky originality of this band's early work still stands tall. I was thrilled to find this. I owned the original EP back in the day and loved it. Glad to see that, though they've faded to obscurity, they were seminal enough that some still loved their songs. I was at the 1979 Show at "The Barn" located on the Campus of UC Riverside and to this day, that Wall of Voodoo show was one of the BEST Live Shows I have EVER seen, and I have been to a lot of concerts the past 32 yrs.